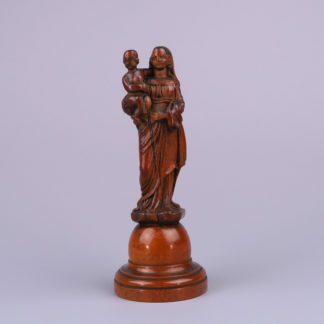 Carved boxwood Madonna and Child, Flemish 17th century. 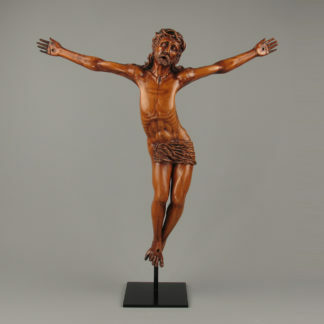 Standing on a round boxwood base. 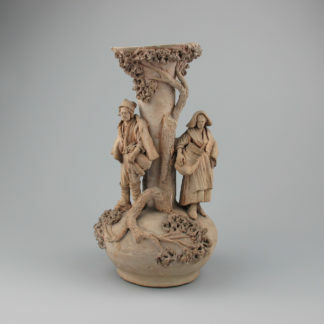 The sculpture is 16 cm high and the round base is 6,2 cm in diameter. Overall in a good condition, one feet of the child is missing, stress crack and wear from rubbing.